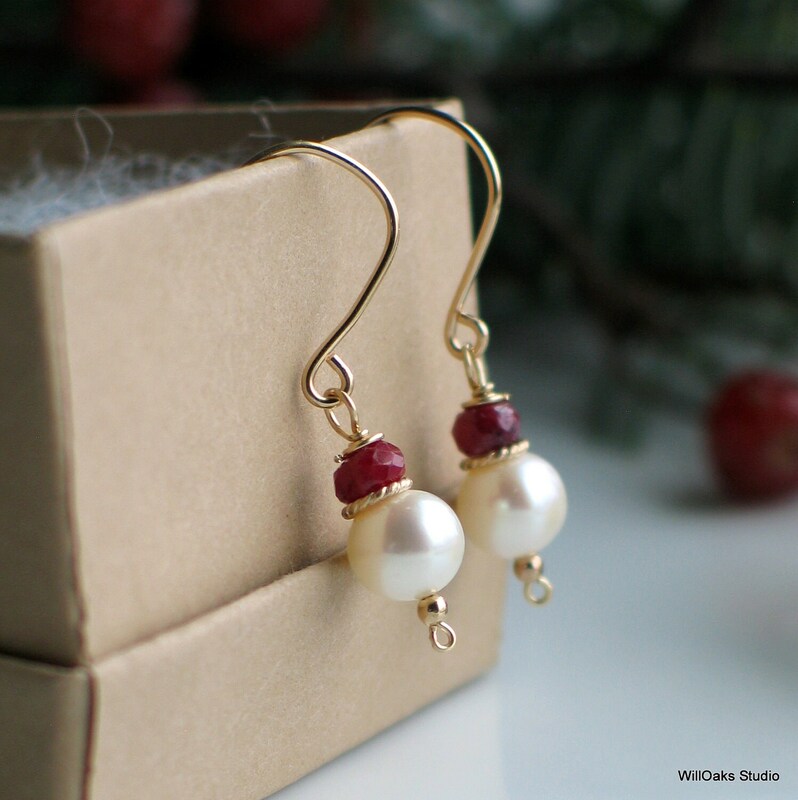 Simple white pearls topped with a faceted ruby and a twisted textured gold filled ring, dangling from elegant handmade gold filled ear wires. Classic beautiful elegant pearls with a twist! 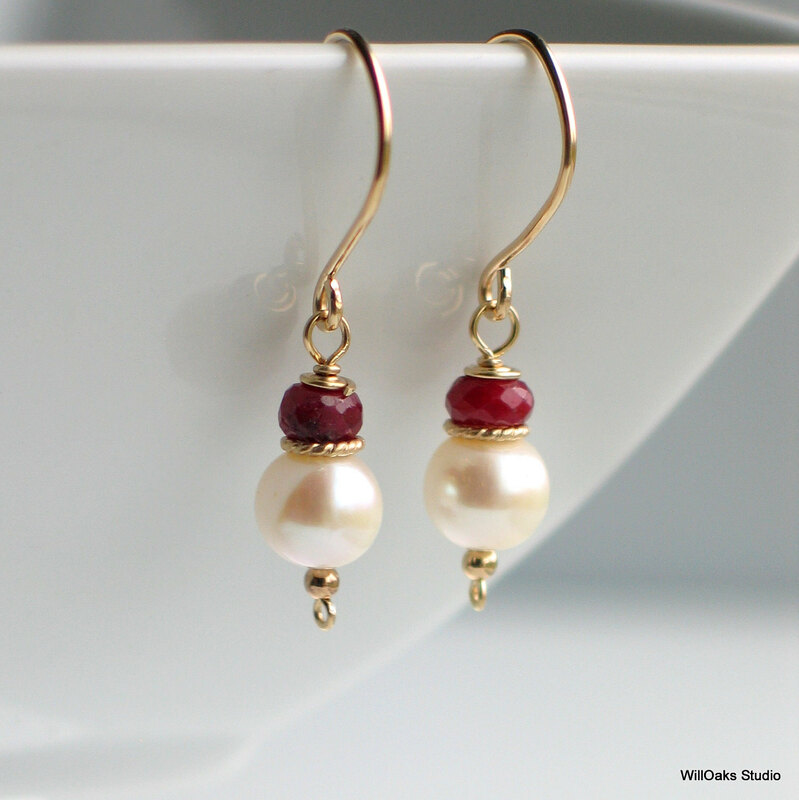 Perfect for July birthdays, for June birthdays, and if you'd like your pearls with something besides a ruby, please look through other pearl earrings in this series! Adding gold to my studio to mix with my beloved pearls and semi-precious gemstones! 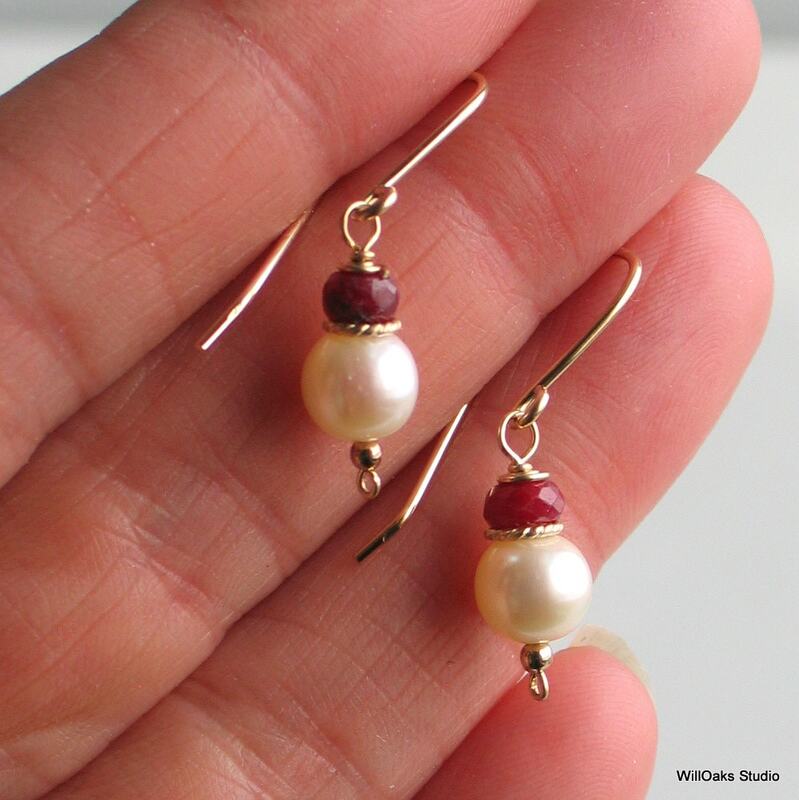 White freshwater pearls, between 6 to 7mm, are topped by faceted natural ruby roundel and captured with 2mm gold filled beads and wire wrapping. 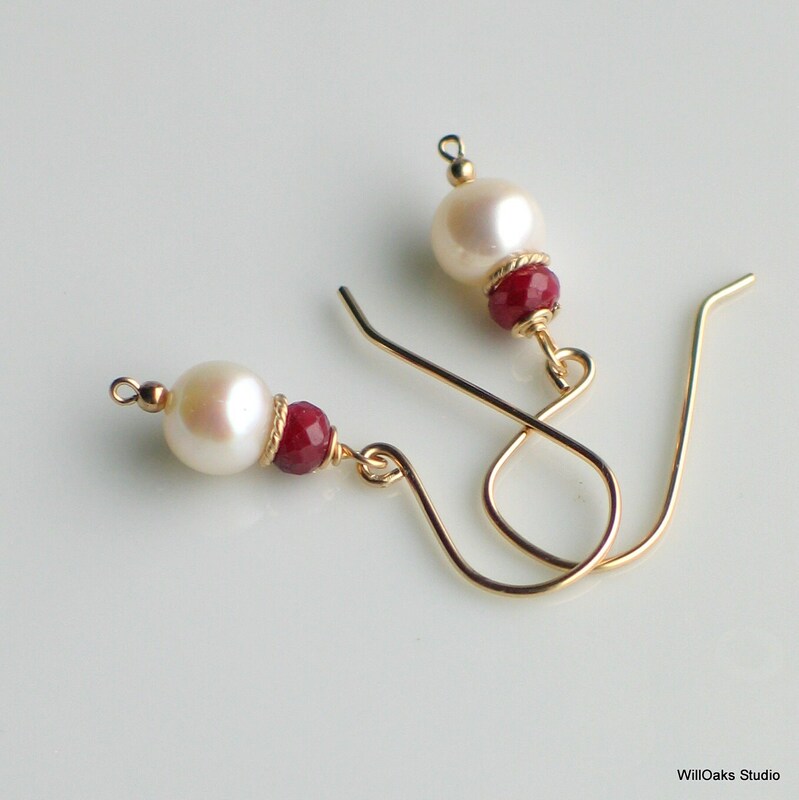 A golden circle of textured wire, hand shaped from gold filled wire, sits between the pearl and the gemstone. Hand formed 20 gauge gold filled ear wires are tumbled for strength and shine. Earrings measure just under 1 3/8" (34mm) long total length from the top of the ear wire. 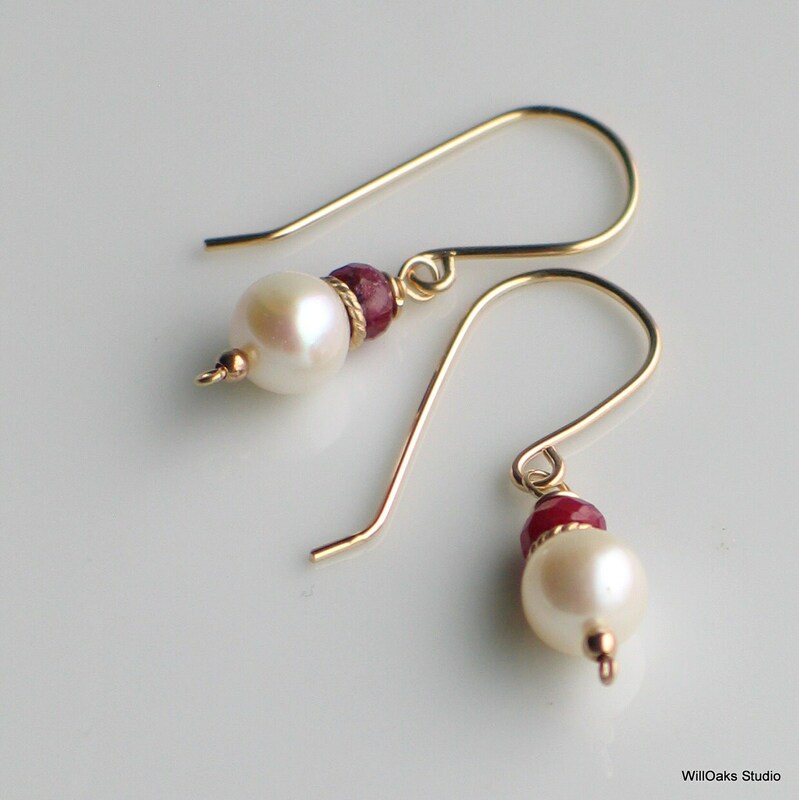 Expect subtle variations as the rubies are hand cut and the freshwater pearls are natural objects. Beautiful earrings and a perfect gift. Would order again. beautiful and fast I can't wait to wear them.